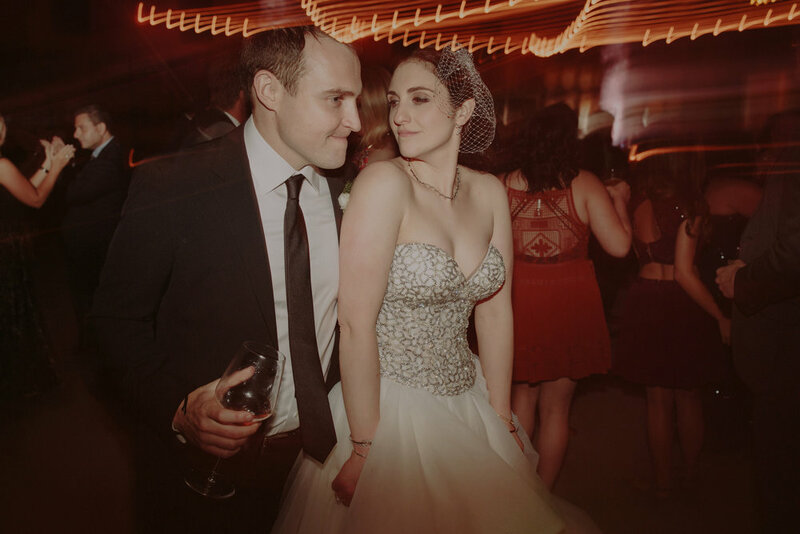 From the start, I knew Megan and Brandon's wedding would be an amazing celebration. 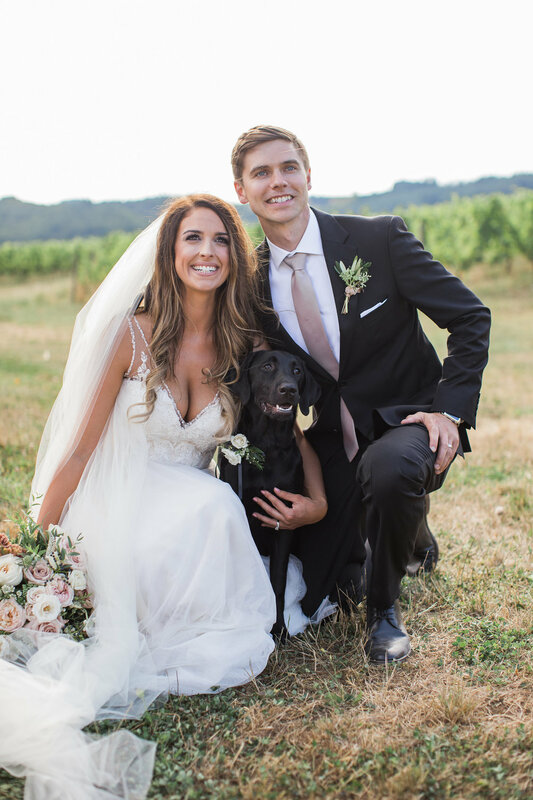 These two knew exactly what they wanted for their wedding day and had an amazing vision plus they are the such a sweet couple! 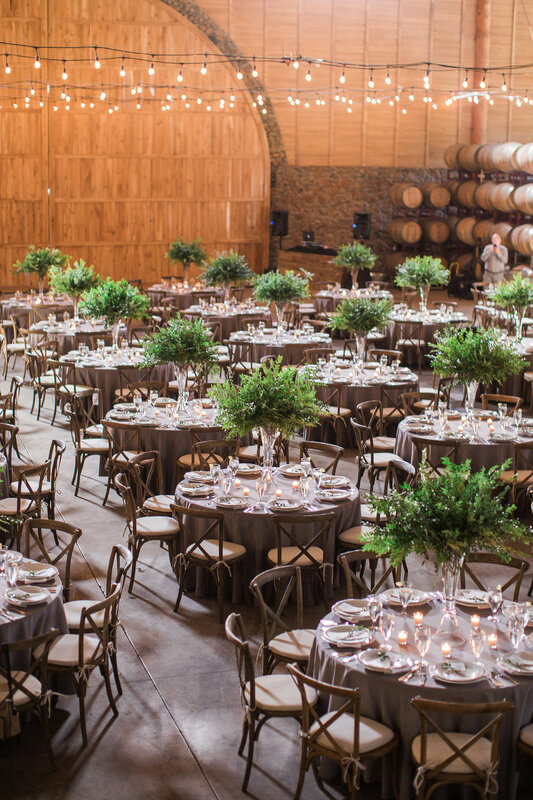 They picked a modern grey and white color palette with rich greenery to fill the stunning Maysara Winery. 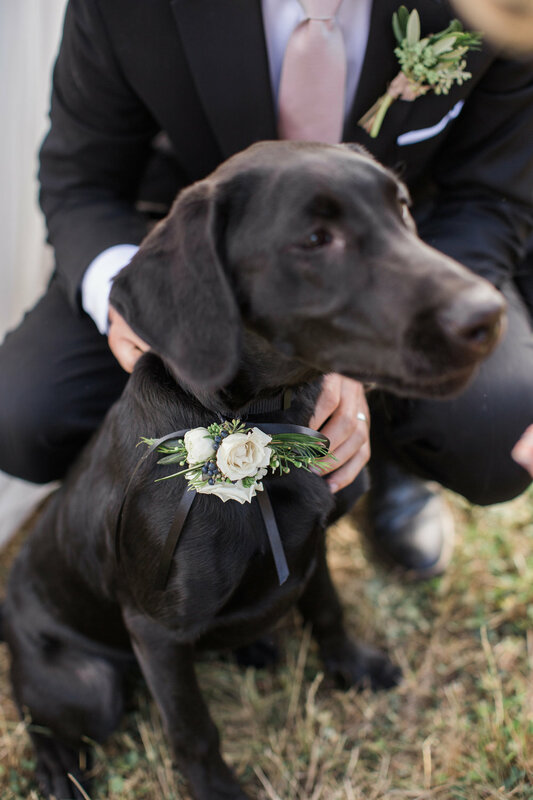 Megan and Brandon wanted to add their own personal touches to their wedding day from handmade signage and seating chart displays to serving the bride's favorite cold brew to the groom making the stage and arbor which Bella Bloom adorned with lush florals. 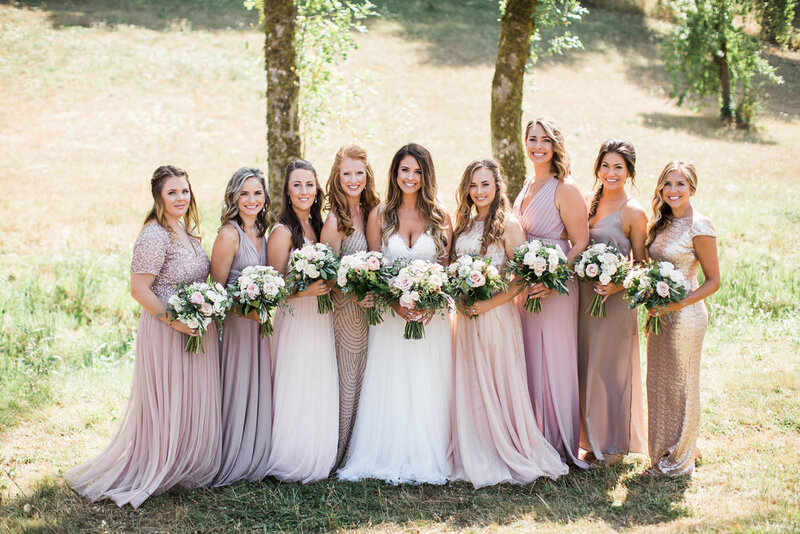 After a fun cocktail hour filled with lawn game and lounges for guests to gather and enjoy the beautiful weather, they made their way into Maysara where Bella Bloom had filled the center of each table with tall trumpet vases of greenery perfectly lined up. 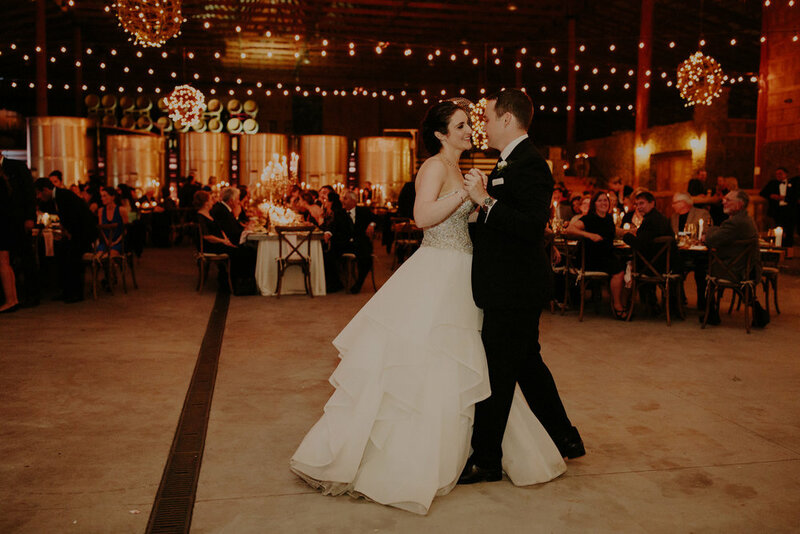 Once dinner had gotten underway, Megan and Brandon were announced and began their first dance outside for a few moments alone before the groomsmen opened the great doors. Dancing soon got underway outside under the bistro lights and DJ Royale Entertainment kept the party going all night. 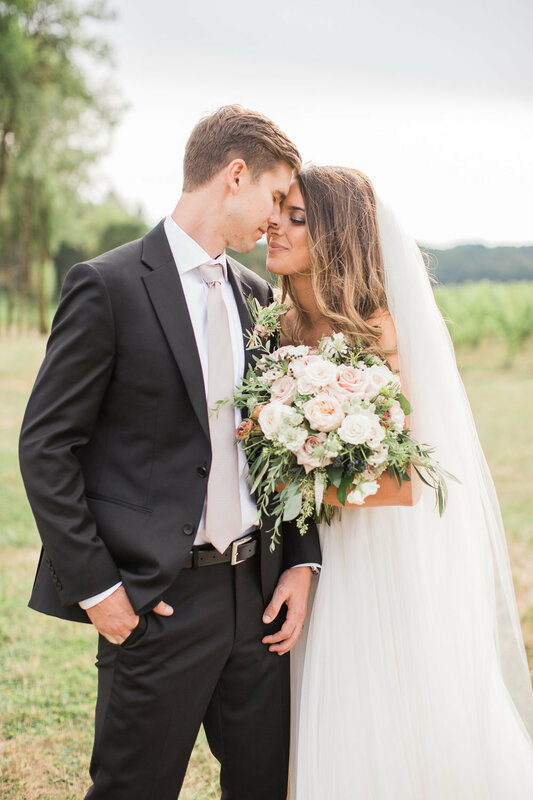 Megan and Brandon, I so enjoyed getting to know you both and help plan your big day! I wish you so much happiness! 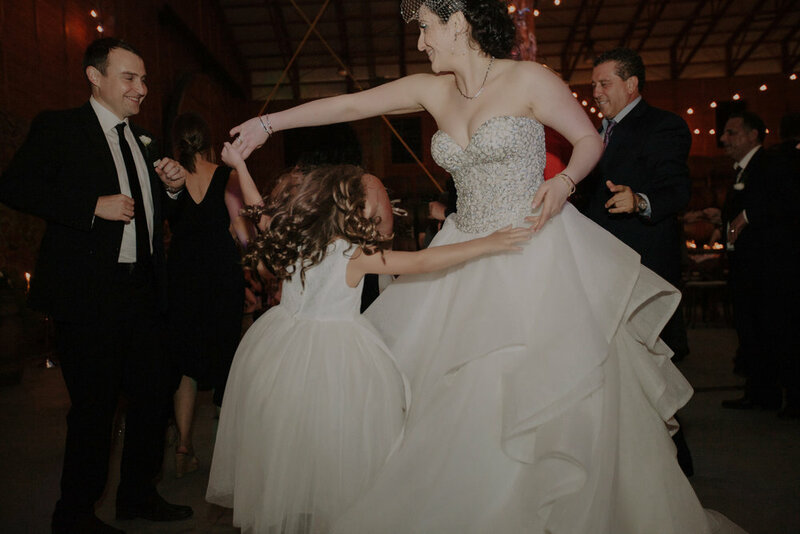 From the second I met with Sarah, I knew that I wanted to be her wedding coordinator. 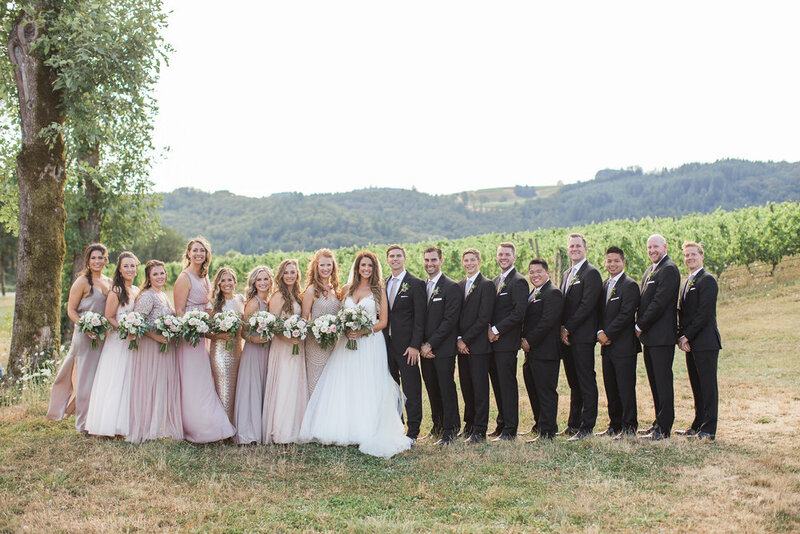 She had a stunning vision of bright bold reds and pinks with natural elements that matched perfectly with their fun personality. 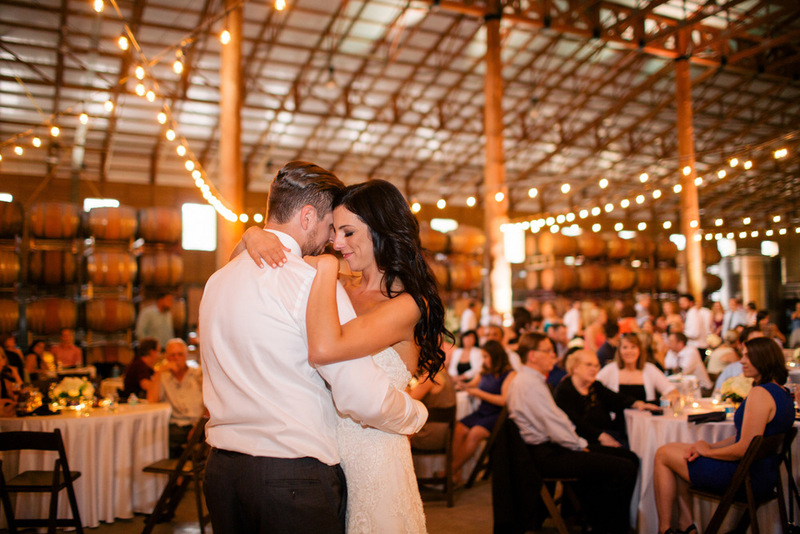 As we planned, they booked a dream team of vendors that perfectly fit the style and feel they wanted for their wedding day at Maysara Winery. 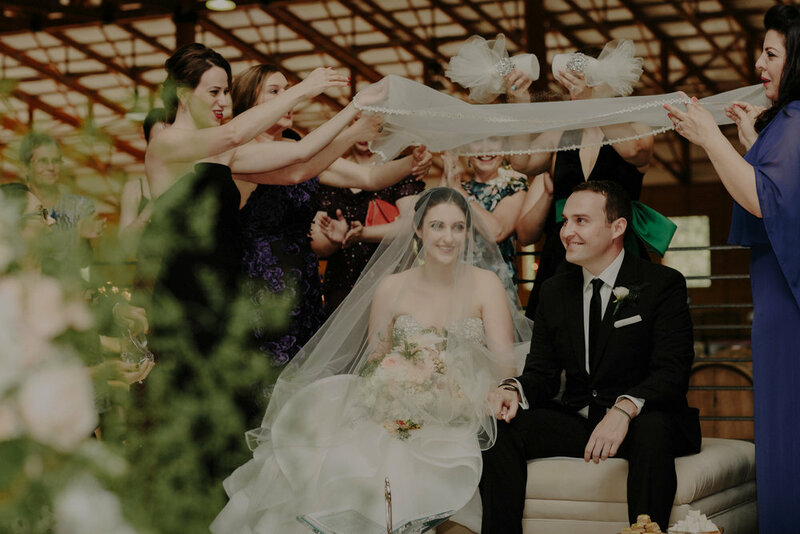 On their wedding day, everything came together flawlessly for these two and they were married under a breathtaking Chuppah by one of their closest friends. 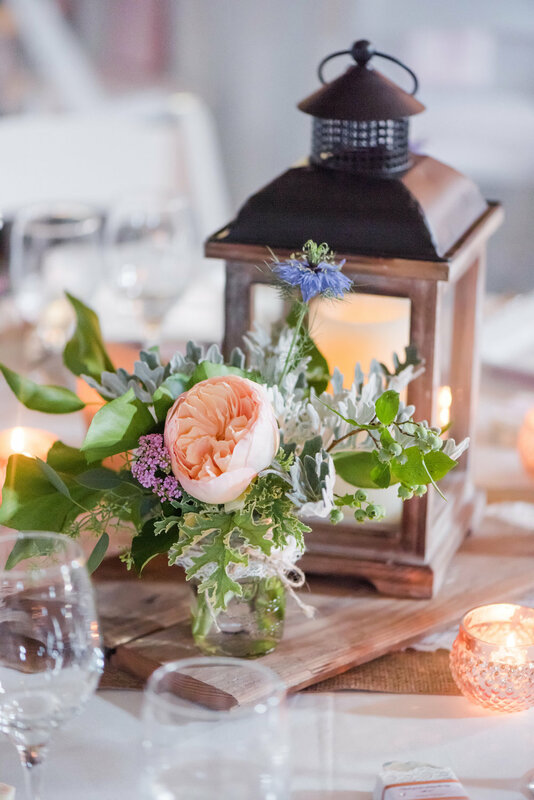 The reception was adorned with stunning floral arrangements from Swoon Floral that just popped with bold colors on the farm tables. 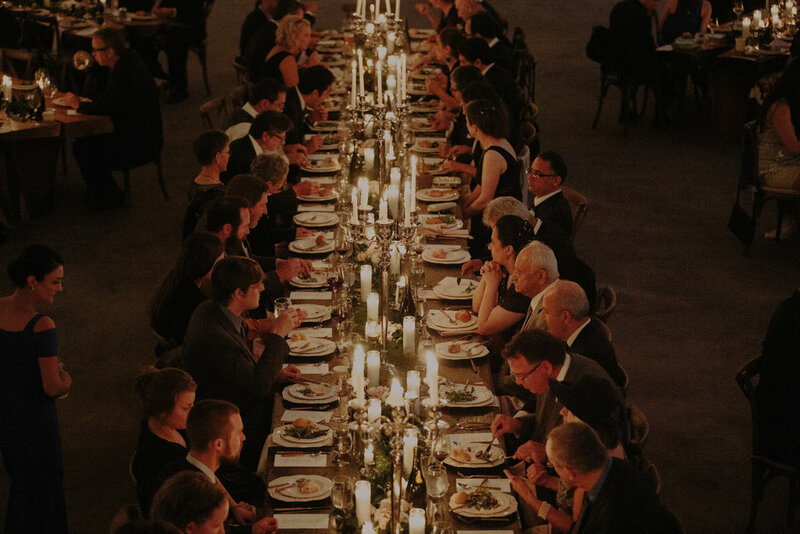 Guests enjoyed a delicious family style dinner from White Pepper PDX filled with their favorites dishes. The night was filled with so many amazing moments for these two and I couldn't be happier for them! Thank you for having me be a part of your big day and huge congrats you two! 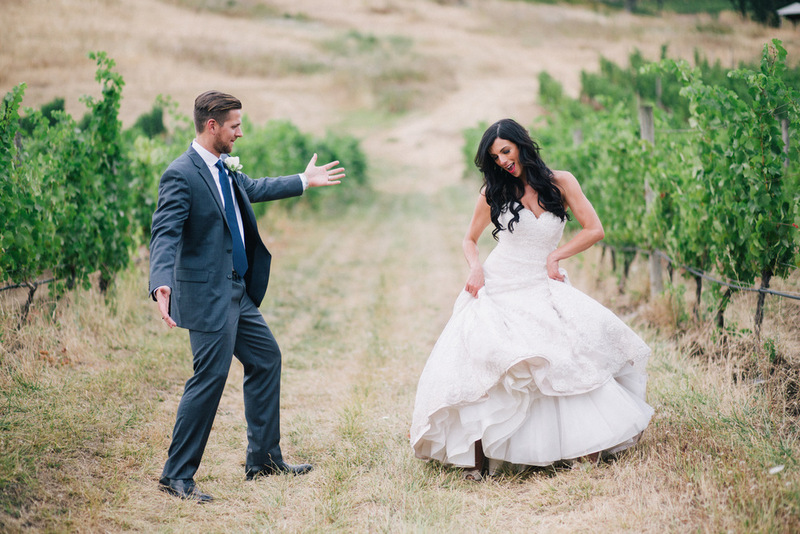 Hillary & Graham were such a delight to work with and I enjoyed every moment of planning with them! 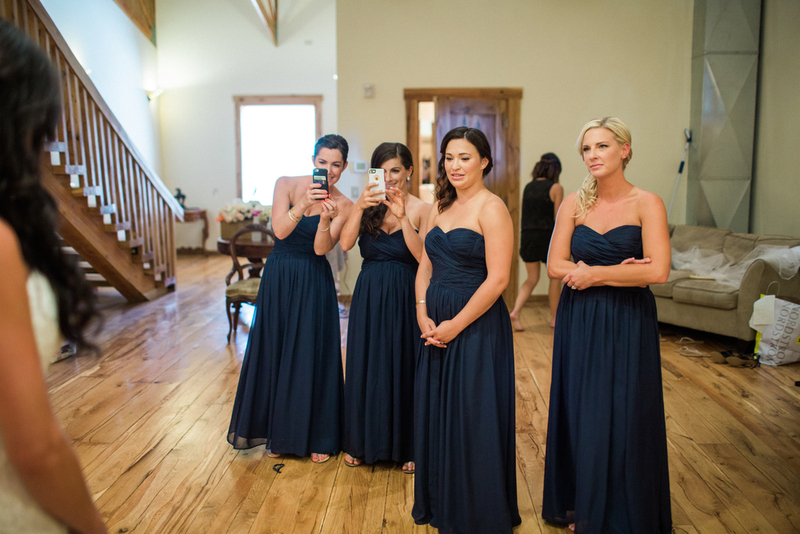 Their warm and inviting personalities made me feel like family, while their day was a perfect portrayal of that. 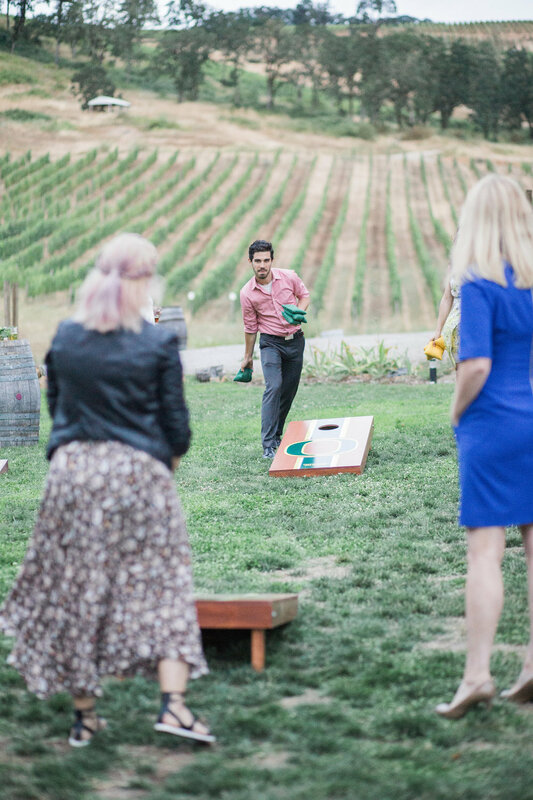 The intimate gathering was held at Maysara Winery on a warm July day. 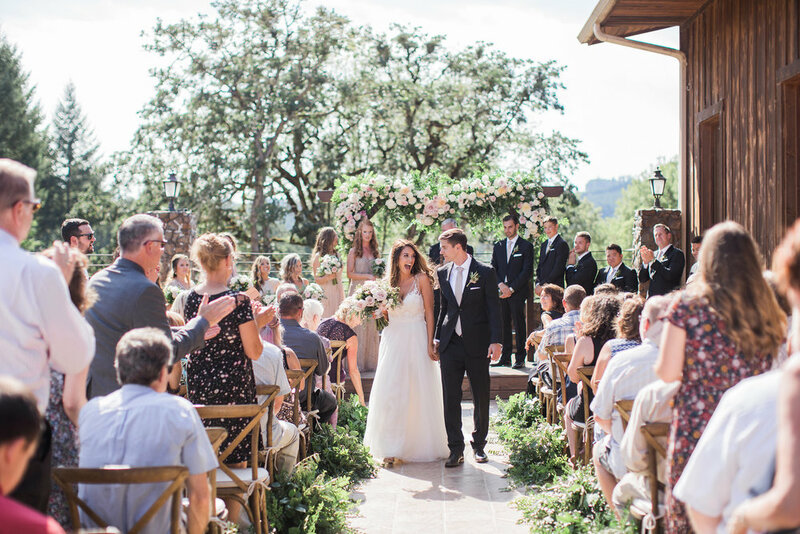 A ceremony on the scenic patio was followed by a reception inside the winery. 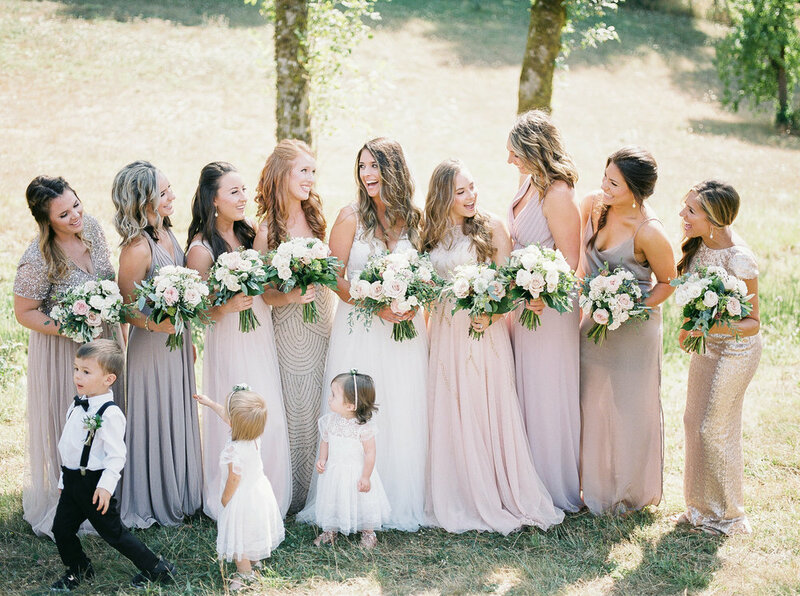 Hues of soft blush and mint amidst lots of dusty eucalyptus set the tone for a fun and rustic celebration. 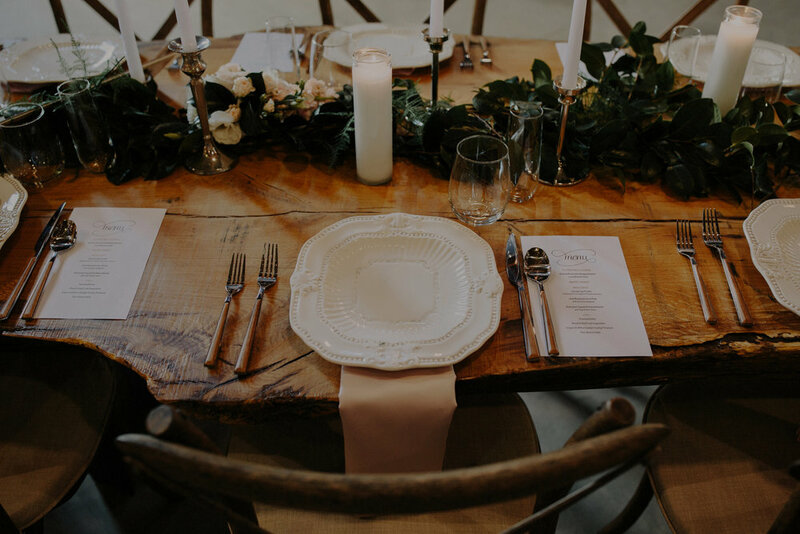 Guests dined over burlap and lace while listening to some lovely heart felt speeches. Mini pies for dessert and TONS of dancing sent this couple off into the night. Hillary & Graham it was an absolute pleasure getting to know you - congratulations on your future ahead! WOW!! This is the first word I can think of when describing this wedding. 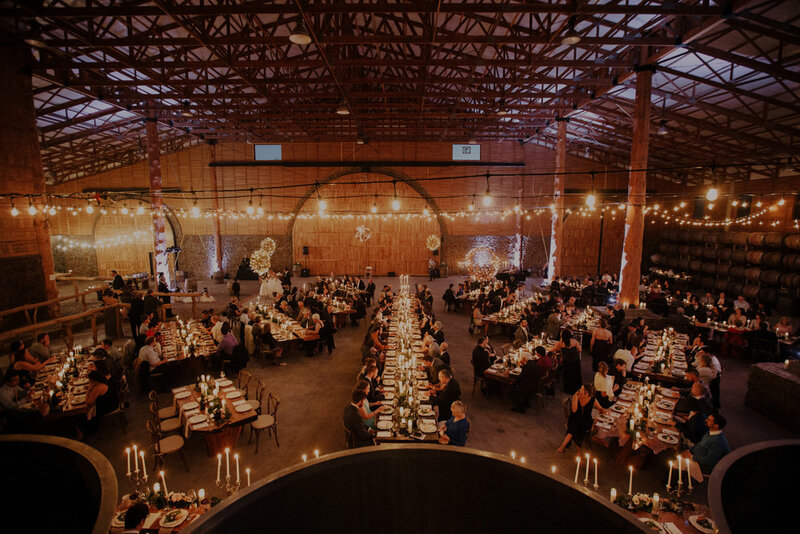 When you make the wine, and your family owns the venue, you know your wedding is going to be, well, WOW! Tahmiene Momtazi is the winemaker for Maysara Winery in McMinnville, OR. 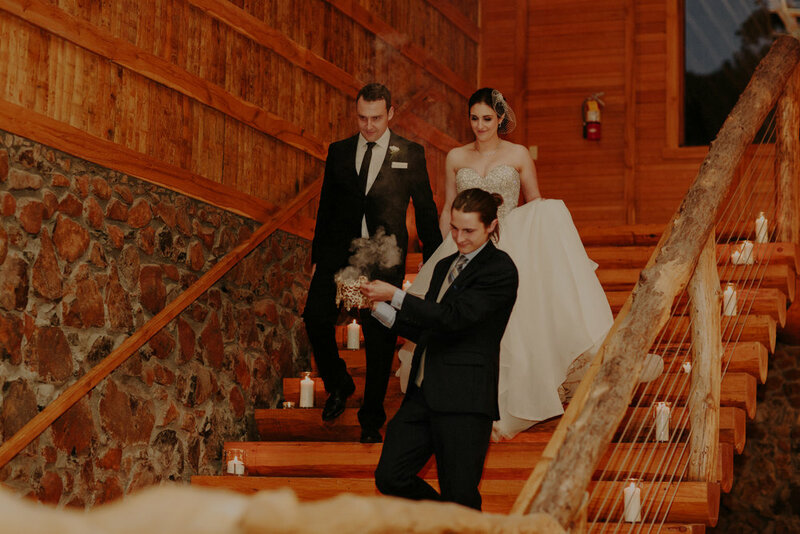 When she and fiancé Colin Smith got engaged last year, they knew that there was no question they wanted to be married at this stunning space. 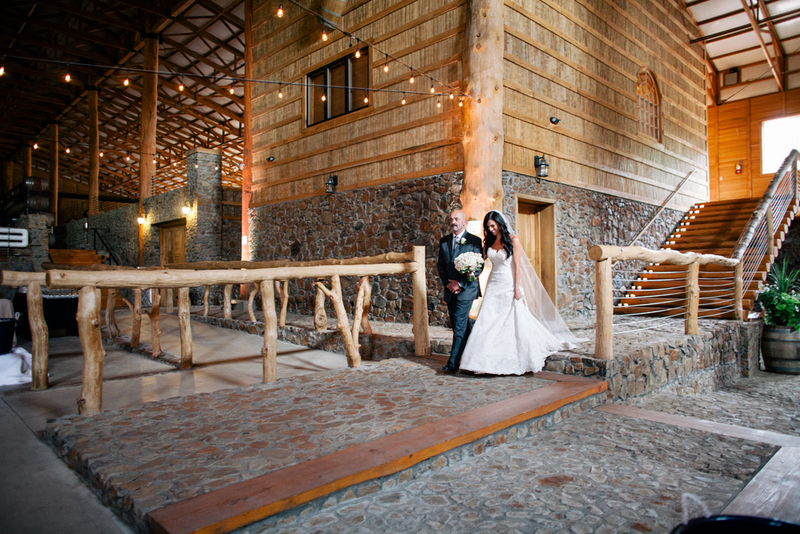 Sister, Hanna Momtazi, is the venue coordinator and was there to help the couple bring their vision to life. 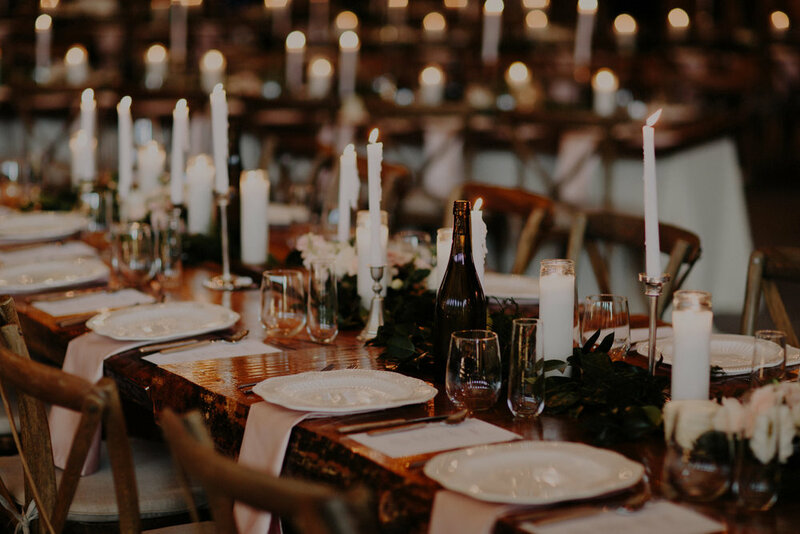 Tahmiene’s father custom made some of the most stunning, natural-wood family tables I have ever laid eyes on. 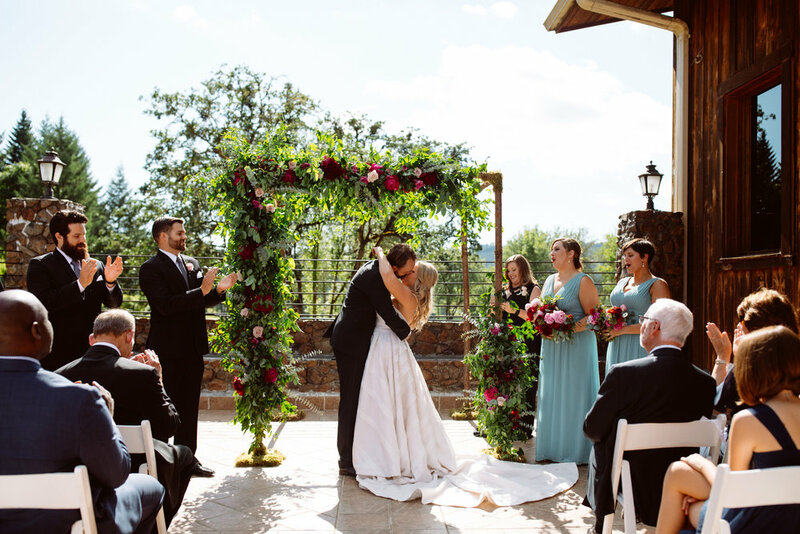 Bloomsberry floral brought in gorgeous greenery and even some grapes from the vineyard to tie the room together. 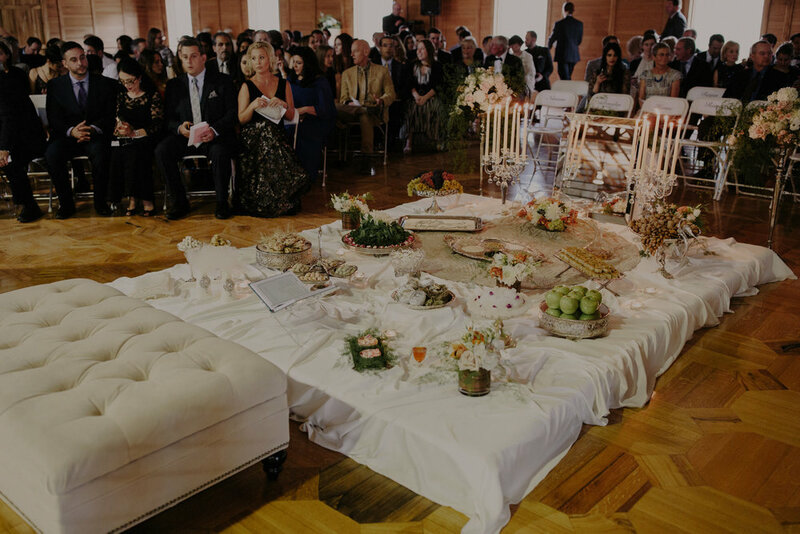 The bride's family performed a beautiful Persian ceremony ("Aghd") in the mezzanine of the building with a traditional Sofreh. After, guests mingled and snacked on appetizers from Pearl Catering. An amazing spread of food followed for dinner, including traditional persian cuisine brought in from Pasha. To satisfy everyone's sweettooth, Lux Sucre provided 9 different cakes and other goodies for guests to try. 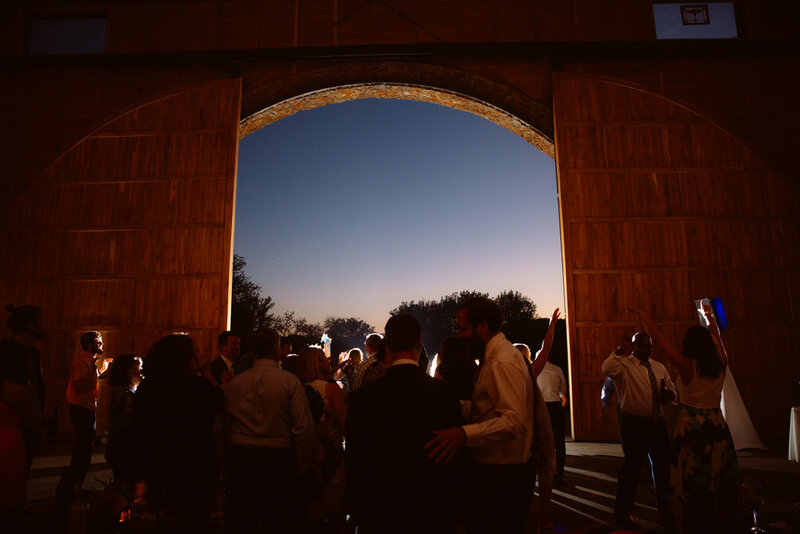 Paradox Productions was there spinning a mix of persian and pop music to keep the party going. This was an amazing, stylish, fun-filled day to be a part of. 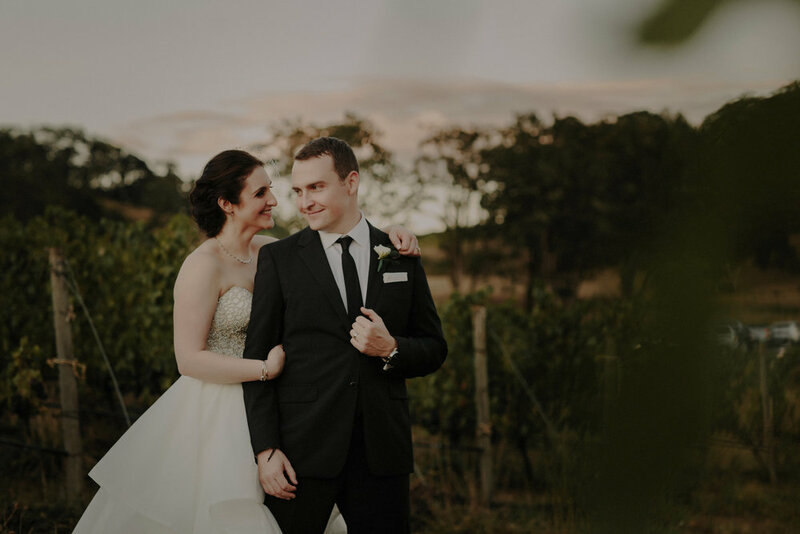 Congratulations Tahmiene & Colin! 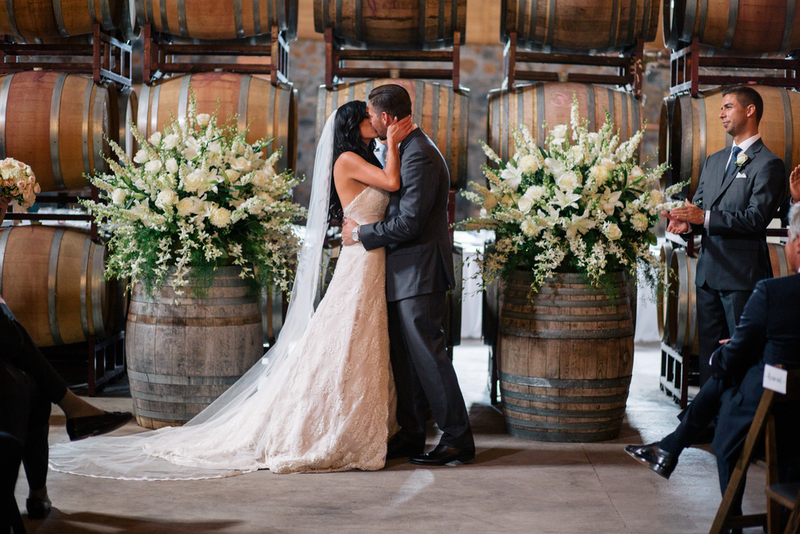 Nicole & Chad celebrated their special day at the gorgeous Maysara Winery on a beautiful August Saturday. 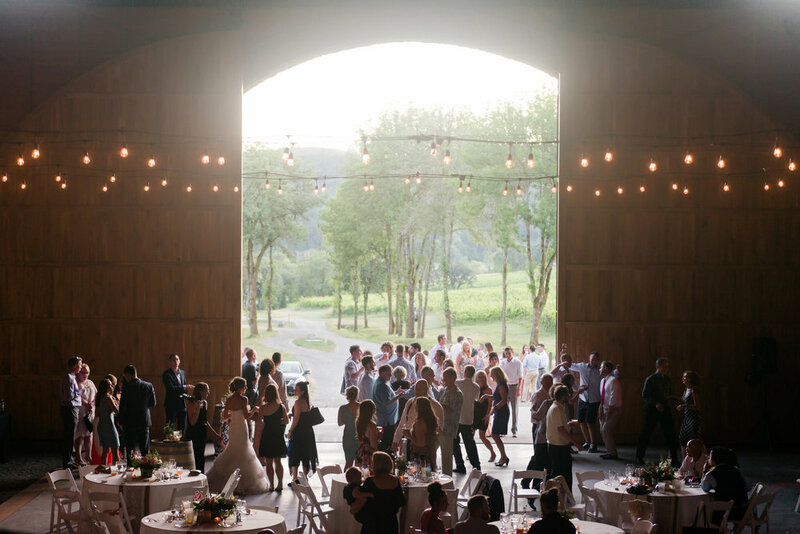 Fields of grape vines surround the stone winery featuring the most stunning entrance. 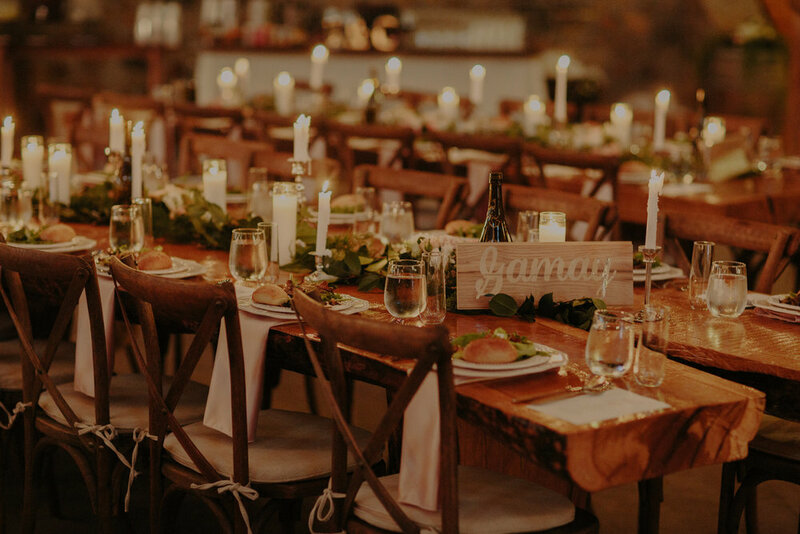 Guests arrived in First Student school buses and were greeted with tons of candlelight and chalkboard details. 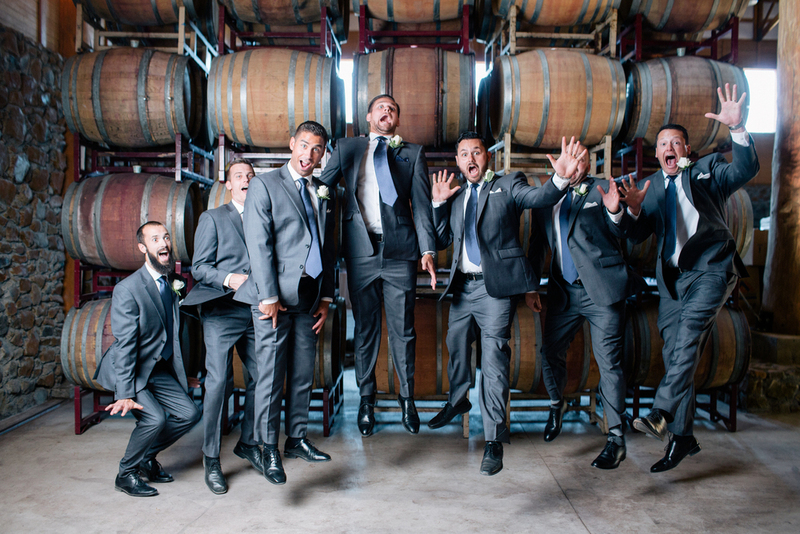 The ceremony and reception space was lined with wine barrels and sparkling café lights. 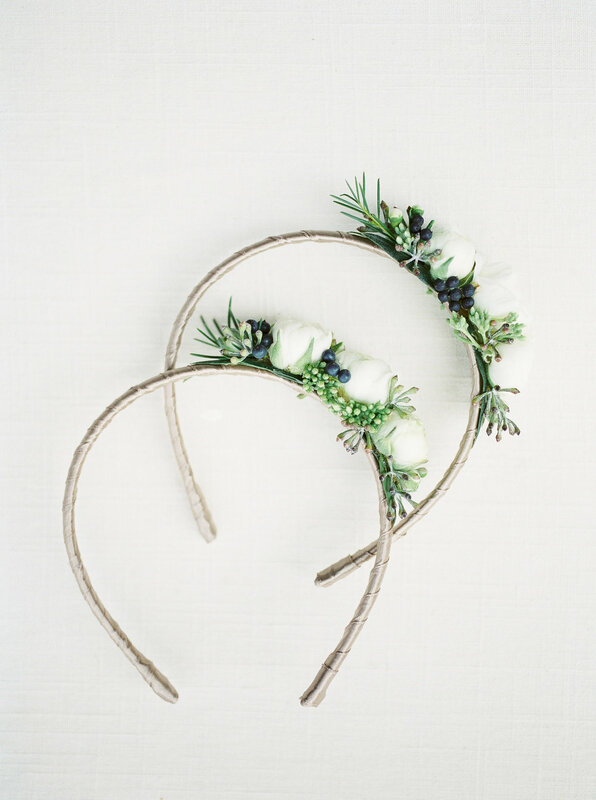 Tons of ivory and green flowers completed the space adding a romantic and natural touch. Their guests raved about the authentic Hawaiian food served for cocktail and dinner hour by Noho's. Touching speeches and first dances led into an amazing party, the band Pressure Point had nearly everyone on the dance floor until the very end. 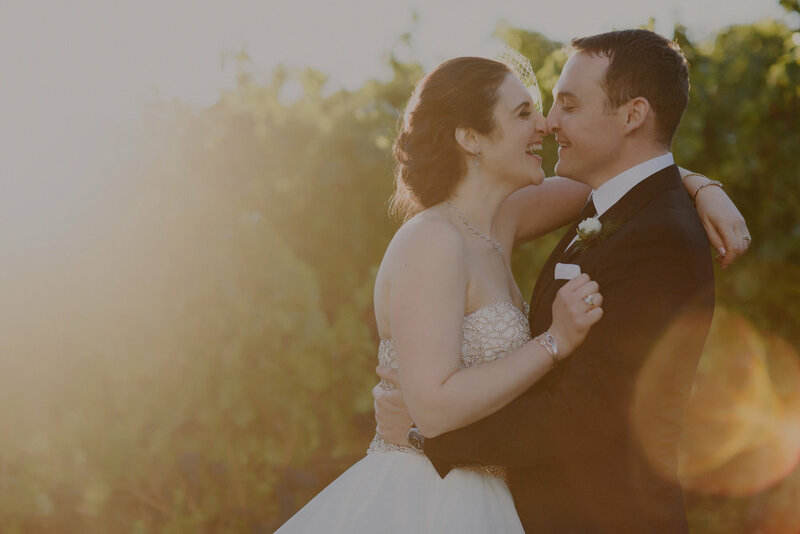 Nicole + Chad Highlight Reel from Candy Glass Productions on Vimeo.